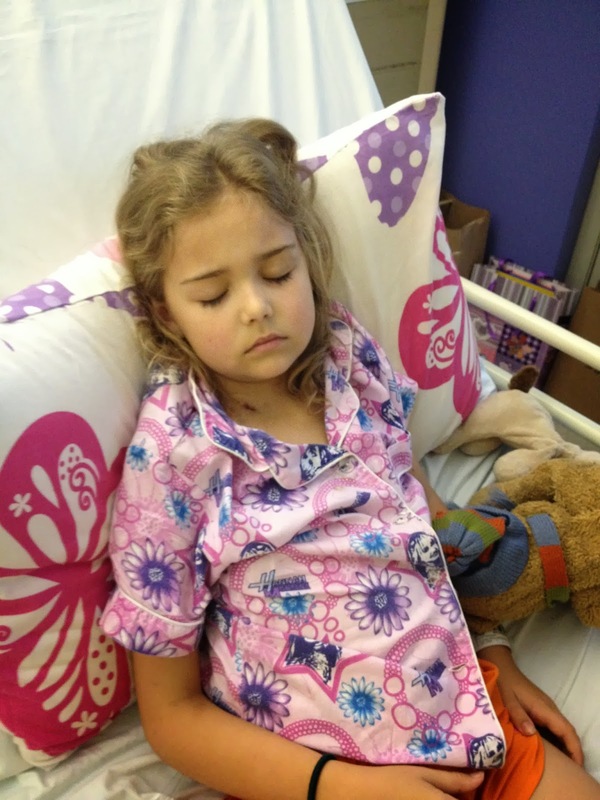 Miss M is still in hospital and has been dosed up with steroids. Her first does of chemotherapy will be on Friday and if she has a good reaction to that, she may be able to come home at the weekend. Chemotherapy will continue every Friday and other medication at other times through the week depending on test results. For probably at least two years. My son says the staff are wonderful. Nothing seems to be a trouble for them. She has been resting most of the time and sometimes "the lights are on but no one is home." However, the steroids have made her a bit hungry. Over a day yesterday she nibbled some roast chicken and had almost a litre of strawberry milk. I don't share her tastes at all as I find strawberry milk, yoghurt, icecream unpleasant and artificial. However, it's a start for her. There are two other little girls from her school also with leukaemia. They are at the other end of the long treatment. However speaking to their parents has been helpful to my son. An encouragement but also with helpful pointers for the trip down this road. The support is amazing and my son is overwhelmed. As am I. Prayers and good wishes have flooded in from all over the world as the word spreads. I belong to quite a few groups on Ravelry although I am active on only one of them. One of the moderators has organised for Miss M to receive cards and small gifts. This was all spontaneous and when I opened up the group a coupe of mornings ago, I burst into tears when I saw this. I don't cry much, but this generosity really touched me. I have had questions about gifts, favourite colours etc. We are coping as we gradually come to terms with this sudden, unpleasant surprise. A friend called on Sunday morning to take me to church with him and I told him I felt beyond exhausted. However, by the time we arrived home about 3:00pm, I realised he had been right to make me go out with him. Son has been at the hospital most days and spent a couple of nights there at the weekend. He's tired as he is juggling a lot of balls at the moment but his daughter comes first, very definitely. You have had more than your fair share of worry and pain this last couple of years. It's hard to believe that something so terrible could happen on top of everything else. Sending good thoughts to you and all your family. Thank You, Lord, for Jan's friend who took her to church, for the Ravelry group which is being so kind, for all the prayers and good wishes, for unknown people all over the world praying, for the support M is getting from other parents, and for the wonderful staff at the hospital. Thank You, too, Lord, that You know the end from the beginning, that you will bring good out of this no matter how impossible that may seem right now. Please give Jan, her son and their family strength, courage and peace in this seemingly awful situation. We pray for a complete healing of the little one's body. In Jesus' name. amen. I am so glad that you have lots of support and that your son has found some parents who know what is ahead and can help. I hope everything goes well on Friday. I hope things go as well as they can on Friday and afterwards. I'm really glad you have a good support network in person and on Rav (knitters really can be so kind, most of them). I'm especially glad your friend saw you needed to go out and made it happen. When we have these sorts of family issues, we often put our own health nd well-being last, and that doesn't help anyone in the end. Hope your son especially is also looking after himself at the same time as looking after his daughter.